June 11-12, 2011 | 12 - 5 p.m.
Luma at the FAC staffer Tracy Miller will be hosting a special show and sale of 30 new paintings at her studio, located at 1270 Allegheny Drive on June 11-12 from 12-5 p.m. Partial proceeds of all sales will benefit the Colorado Springs Therapeutic Riding Center at Mark Reyner Stables, a local non-profit for children with physical challenges. 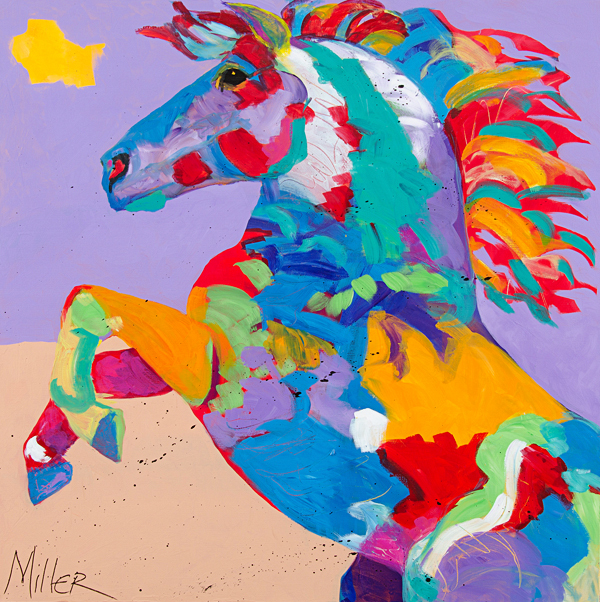 This show is a unique tribute to two beloved major influences in Miller's artistic life: her parents and horses. Her parents will be on hand Saturday to meet studio visitors. 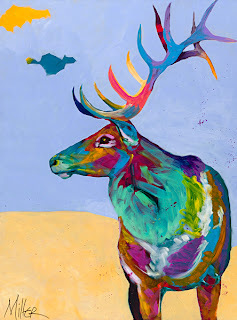 Tracy's original paintings can best be described as "contemporary western expressionism" using a bold palette of colors and strong negative space to define the horses and western animals she knows so well. She has spent a lifetime observing and learning to capture not only an animal's physical appearance, but their spirit as well. Miller describes her parents, Lou and Maureen as the original "Green Acres" couple, a reference to the 1960's TV show starring Eddie Arnold and Zsa Zsa Gabor. Her dad was raised on a farm, and was a real cowboy wrangler in his youth, and her mom was the sophisticated and cultured New York City girl. Together they instilled a love of the land, and a keen eye and appreciation of culture and art. Maureen remembered, "as a young child Tracy was always interested in drawing, especially horses and other animals. We encouraged her to widen her artistic interest to other subjects. She did, and excelled, but always went back to her love of horses and other animals." Lou adds, "Tracy loved camping, and her imagination soared when we visited ancient sites and ruins. She was always happiest with a pencil in her hand and mud on her boots!"